For the first time in the history of the celebration of the country’s independence, the commemorative activity is scheduled to hold in Tamale, the Northern Regional capital, of course, on March 6. History would therefore be made on that date as it was with the restoration of peace in Dagbon recently. One of the factors which informed the President’s decision to hold this year’s anniversary in Tamale could be the restoration of peace in Dagbon, a constituent of the Northern Region. Such an honour for the people of the three Northern Regions should be relished by our compatriots from this part of the country. It takes a visionary leader to change the status quo in a manner that would bring benefits. 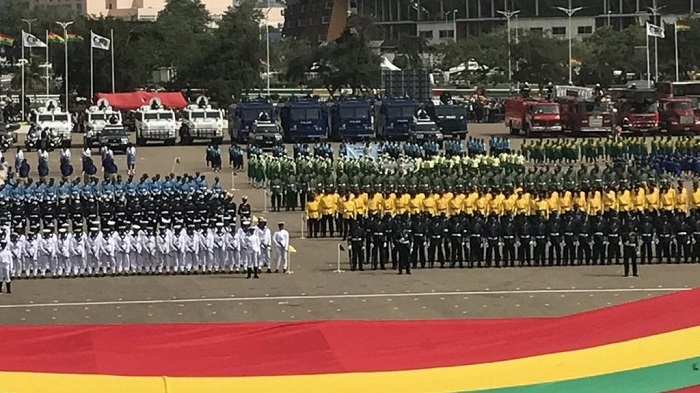 Whoever thought such an event would take place outside the Independence Square; venue for Ghana’s most important anniversaries since the Union Jack was lowered for the newly independent Ghana? President Akufo-Addo has changed the template, established a standard which future governments would emulate. No longer would such events be restricted to a particular part of the country. Other parts of the country must feel the belongingness to mother Ghana. Good leaders bequeath future generations standards which were previously unknown. The activity in Tamale would be an important statement by the President about the importance of peace in every given area of a country. The efforts he put in to achieve the peace dividend in Dagbon was not an easy enterprise. It is unsurprising therefore that he settled on Tamale, an hour’s drive from Yendi, the traditional capital of Dagbon for the March 6 celebration. The President would definitely talk about the place of peace in development and urge the people of Dagbon to maintain the newfound normalcy won after a tiring shuttle diplomacy; if you like. We can imagine the beaming smile on the face of the President when he addresses Ghanaians from Tamale on March 6. Some traditional leaders from the North would definitely be the President’s guest at the event and what an opportunity for him to talk to them about the country’s unity even when the wishes of some of them about the location of the new regional capitals did not come to fruition. Many bad politicians have in the past few weeks engaged in activities they present as normal politicking. These have, however, sought to polarize the country in a fashion which does not make for the important ingredient of unity. We admire the President’s steadfastness at nurturing and enhancing the unity of the country irrespective of the divisive engagements of politicians whose obsession for power dwarfs their patriotism. Taking this national event to the North, is but one of the many actions of the President, which is studded with the potential of building a cohesive Ghana. This rare national celebration should provide the people of the North an opportunity to showcase the economic activities in their part of the country. A Leader Gives Himself Wholly!